« Day 62 in Beijing: Fixed Gear Bikes. Juggling. And Bananas. 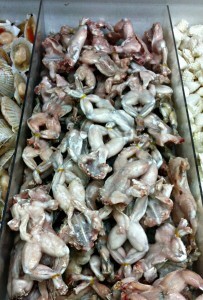 Day 63 in Beijing: Frogs and Bud. It’s What’s For Dinner. I took Jill to the local Wu-Mart grocery store today. I showed her around and she remembered my post, Day 36 in Beijing: Larvae, It’s What’s For Dinner and wanted to see what other delicacies were available. 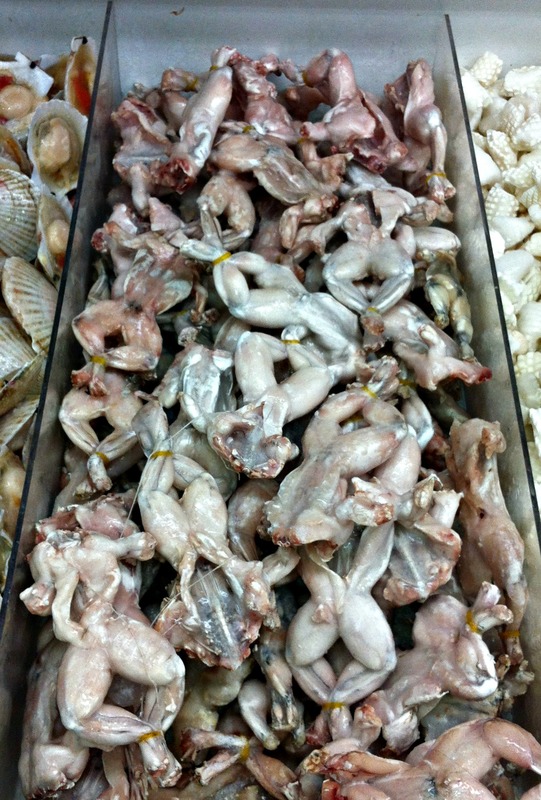 We walked by the frozen food section and noticed these little guys. We agreed that now was not the time to leap into a culinary adventure such as this. We also knew that we’d need something to drink and headed over to the beer section. Budwesier. Maybe it should be called, “The Emperor of Beers” in China? 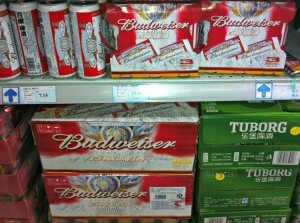 Yep, loads of Budweiser. Curiously, no Coors or Miller. 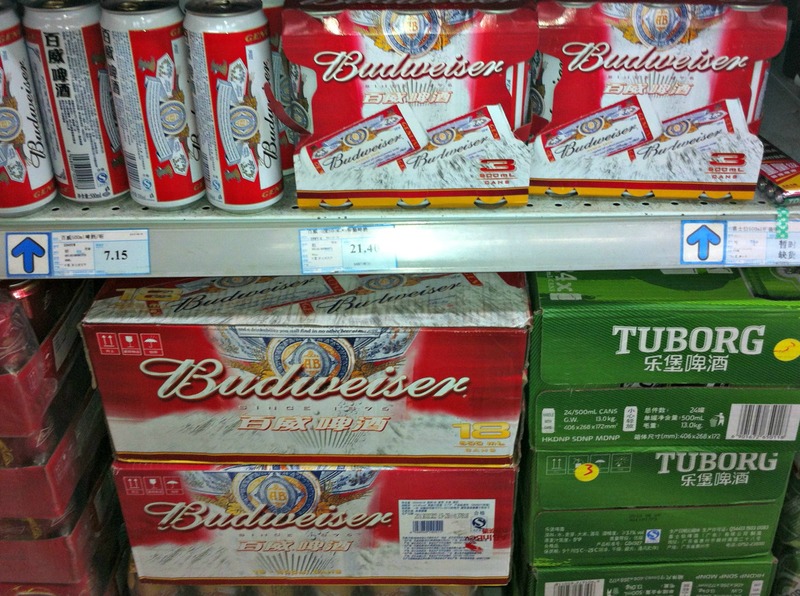 A tallboy of Bud is about 7RMB which equals around 85 cents U.S.
A 6 pack of Bud tallboys is 21RMB which equals about 3 bucks U.S. If only it didn’t taste anything like Bud, it would have been a heck of a deal.